1.1.1 How To Officially Update samsung galaxy Note 3 Without Root . Do You Want To Update Your Samsung Galaxy Note 3 To Android 5.0 Lollipop Officially In India ? Do You Want to Upgrade Your Samsung Note 3 To Android 5.0 Lollipop With the Official Firmware Then You Are On Right Place . 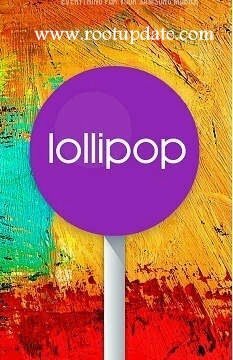 Samsung Started Rolling Out Official Android lollipop Update For Galaxy Note 3 In Some Countries And India Is One Of Them , This Guide Is Basically For Indian Users But There are No Restrictions For Other Countries As Even I Also Updated My Galaxy Note 3 To Android 5.0 Lollipop With the Russian Firmware . Just To Remind You Samsung Galaxy Note 3 Is The Flagship Device From Samsung Corp , But Unfortunately The Device Was Running On A Little Bit Out Dated Android Version i.e Android kitkat . As The Samsung Galaxy Note 3 Meets All Hardware Requirements Needed For The Android 5.0 Lollipop Upgrade So It was Pretty Much obvious That This Device will Receive The Android lollipop Upgrade . Android lollipop Is Said To Be the Best Android Version Yet In Aspect Of Every Terms ” Design ” Performance ” Battery ” and Every Terms . I Too Tested And Tasted This Android Version And seriously This Android version is A vast Improvement Over its Predecessor Which is Android 4.4 Kitkat . Android Kitkat Carried Many lifetime Bugs like Slower Internet Speed And Many more But In Android Lollipop 5.0 I personally Didnt Faced Any Single Problem Upto Now. Okay Without Wasting Much Time Lets Head Over to Our Guide . As I told Earlier That This Guide Have No Restrictions which Means You Can Update Your Samsung Galaxy Note 3 To Lollipop 5.0 Living in Any Country . All You Have To Do is To Go to Official Samsung Site And Search For Your Country Firmware If You Find The Suitable Firmware Then Its Good If Not Then You Can Flash Any Firmware . As This Guide Is Meant For Indian Users So i will Post All Requirements Link , Prerequisites For Indian Users , If You Are Not From India Then Please Fell Free to Ask Me Any Time With Your Query . There Are Certain Chances Of Bricking your Samsung Galaxy Note 3 While Updating It To android 5.0 lollipop , So Do Every thing At Your Own Risk . We will Not Be responsible For Any Thing , But in Case If Your Device Get Bricked Then You Can Ask us We Will Help You To unbrick Your Samsung Galaxy Note 3 . How To Officially Update samsung galaxy Note 3 Without Root . 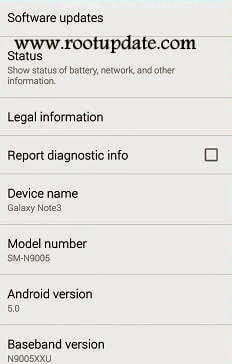 You Dont Need Root Access For Updating Your Samsung Galaxy Note 3 To Android 5.0 lollipop , But After Updating Your Galaxy note 3 Will Be No More Root Enabled So After That You have To Search For Queries like How To Root Devices Running On Android 5.0 lollipop , How To Root Samsung Galaxy Note 3 running On Android 5.0 lollipop . Ensure That your galaxy Note 3 is Charged 100% Because updating is a Long Procedure And in case If Your device gets switched Off Then Your galaxy Note 3 may brick . Use 3G or Wifi , As The Update is Bigger In Size So 2g network Will Take Many Hours . Back Up your images Or Any important Data. Okay Now First Of All Download These Two Files . Steps to Install Official android lollipop 5.0 On Galaxy Note 3 With Odin . Download and extract the firmware files to the desired location (preferably the desktop) on the computer. Download and extract the Odin zip file to the same location where the firmware files are extracted. Double-click on Odin3v3.09.exe to begin flashing the firmware. Verify that Auto Reboot and F.Reset Time are checked or enabled, and other options are left at their default values. Note: Make sure re-partition option is not ticked and do not load the PIT file found inside the firmware zip file as it will re-partition the device unnecessarily. Turn off the phone and boot it into Download mode by pressing and holding Volume Down, Home and Power buttons together until the warning screen appears. Then hit Power button to confirm entry into Download mode. Connect the device to computer via an USB cable and wait until you get a blue sign in Odin. Add the firmware file by clicking the AP/PDA button in Odin. Click on Start and the firmware installation process will begin. It may take just a few minutes to complete and then a “PASS” message will be displayed on screen. Your Galaxy Note 3 will now reboot automatically to complete the installation process. 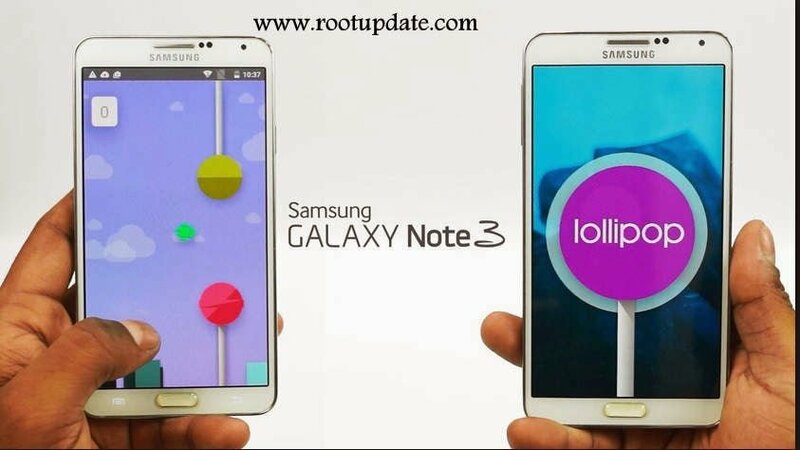 Hope Our Guide On How to Update Samsung Galaxy Note 3 to Android 5.0 Lollipop With official Update Helped You In Upgrading Your Note 3 to Latest Android Version Lollipop . Awesome post. This is what i was looking for. Thanks mate!